 Having spent a long time in development (with most other brands already integrated) it seems Bosch have been waiting to nail the design and Haibike really do the new system justice with some ingenious design techniques. Bosch have kept the capacity the same at 500wh and provide the battery is 2 forms, vertical or horizontal, essentially a different orientation within the frame itself. The integration also allows for some crazy down tube designs, this is where brands can shave a lot of weight but also add stiffness. Haibike use an extrusion process to provide the housing for the battery, also allowing the addition of a 'Modular Rail' on the top which is capable of using for bottle cage mounts, storage and even a dual battery option. Haibike also use their own charge port at the top of the tube, creating a smaller, neater connection featuring a magnetic cap to help keep the dirt out. Another big change for Haibike this year is the shake up on the model names, having used the same set up for almost 7 years now with the range of bikes increasing 10 fold in that period, Haibike have decided to split their model down the middle, with the aggressive and 'XTREME' styled XDURO bikes with long top tubes, short stems and slack head angle making the ultimate off piste machine. While the 'SPORTY' SDURO's remain shorter, more upright and comfortable, still providing some long travel bikes but in a more leisurely set-up.